Walking down that marble ramp for yet another time, I can’t tell you how it felt. I was home. For once home wasn’t landing in a small airport and being able to run into my mom’s arms just a couple of minutes after departing the plane. Instead, it was 13 complete strangers waiting to congregate on the other side of baggage claim. I was finally starting to live my dream. Not only did I spend most of my summer traveling, but now I would also be living abroad. After passport control, home would be in another city, in another country. I would be on the other side of the world. Once I exited baggage claim and stumbled around the arrivals hall, I found the first two members of my new family. Sam (who would soon become my roommate), Garrett (who would become my best friend), and I sat around getting to know each other. Over time, our small circle grew as more people arrived and the luggage pile grew exponentially. Every time another person arrived we became more excited and restless, even though we all felt like we were covered in a layer of exhaustion. Reality was setting in and the clock was quickly approaching our four o’clock pickup time. With every movement of the clock hand we came closer to completing our family and heading to our new home. After what seemed like a lifetime, the clock struck four. 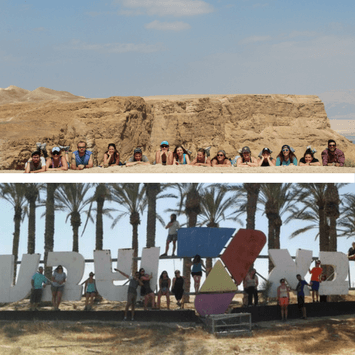 We met our madrichim, ate some sandwiches and headed off to the ‘capital of the desert,’ Be’er Sheva. The ride was filled with exuberant voices and endless chatter. “What’s your name?” “Where did you go to school?” At the time, these questions seemed so relevant. It’s crazy to think how much we would know about each other in just a few months’ time. Amongst the chatter, many of us found ourselves agreeing to buy tickets to concerts in the next week. 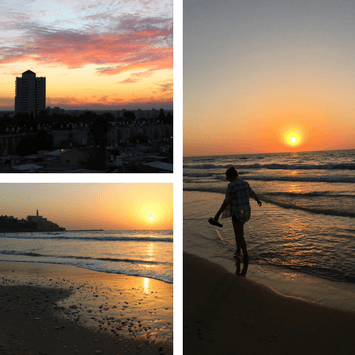 Plans were being made; life in Israel was starting. The ride felt like it took forever, but eventually we got our roommates and our keys and we were home. Home was a two-bedroom apartment with three people in it. The hot plate wasn’t the best and the microwave was a bit questionable. The kitchen itself was small, and the bedrooms smaller, but home is home, no matter the size. Home was also these two girls who I knew nothing about. Still, I could tell that the three of us would create an amazing home. Shortly after dropping off our things, the group went for a neighborhood walk to orient ourselves. Afterwards, it was all about unpacking and packing a new bag because we were heading up north the next day. It was my first day home and the craziness had already started. Flash forward to 10 months later, it’s the beginning of June now and I only have a month left on the program. It’s crazy how time flies, right? I can’t believe that I’m starting to think about how to pack my bags and how the lessons I’ve learned during this experience will impact the next chapter in my life. Whenever you travel or decide to live somewhere when the native tongue is different than your own, people will always tell you how difficult the language barrier will be. However, I will never be one of those people. Language barriers are one of my favorite things. 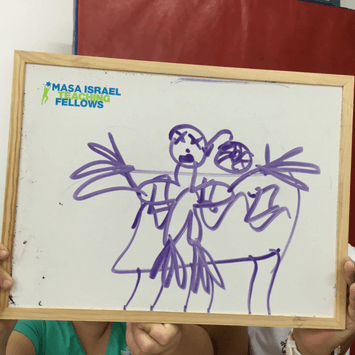 Whether I need to play a game of charades in the shuk or I’m lucky enough to be able to use my phone to help me, I love the challenge and I love the feeling that both parties have when you know you’re understood. My top favorites have to be from my apartment window in Be’er Sheva (top left) and anywhere along the sea, like Jaffa Port (bottom left) and Netanya (right). 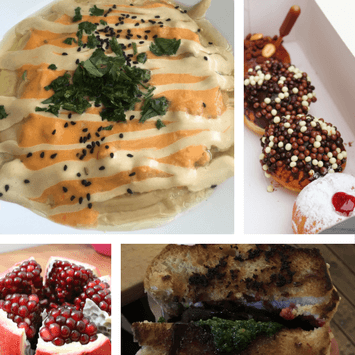 There is something for everyone in Israeli restaurants. From eating some of the best fruit in the shuks to the most interesting desserts, it’s been a delicious year. I’ve managed to put professional pomegranate eater (check out the pomegranate opened by your truly, bottom left) on my resume and found some of the largest strawberries I’ve ever seen. I also have yet to finish a bowl of hummus, but I still have a month left to try. If you find yourself in Be’er Sheva, I highly recommend you check out Hummus Shel Tahini (top left) or Hummus Said. Additionally, the sandwich place on Ringelblum called Pinat Ochel, is a must try, even if you don’t like sandwiches. I have a strong dislike for sandwiches, but the people here know my name and order by heart (bottom right). Finally if you’re around Israel during Hanukkah and looking for a unique choice of sufganiyot check out Roladin (top right)! Coming to Israel I really didn’t plan on shopping or spending money. I was here on a budget (and still am). The first and to this day one of the only things I bought in Israel were Blundstones. A bunch of the girls on my program really wanted to own a pair because everyone in Israel wears them! Our madrich told us the best place to buy them. I eventually hopped on the Blundstone train and now five of us all have matching shoes. I wore them to death from October to March. They’ve seen rainy and snowy Europe. 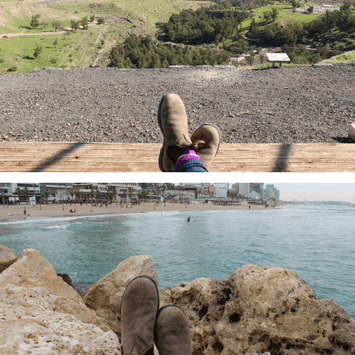 They’ve experienced Australian beaches and Israeli hikes from Beit She’an National Park (top) to the beaches of Tel Aviv (bottom) . My boots have been around the world and they’re still walking. Plus, they’re how Israelis spot each other outside of Israel. When I was in Brussels, I ran into a couple of people who asked where I was from because of the shoes I was wearing. Turned out that they were Israeli and asked because they saw my boots. Left: my madrich Asaf, my friend Moss, and me. Top right: my friend Sam and me. Bottom right: my friend Katie and me. No matter whether you travel with family, friends or just yourself, it’s the people who you meet along the way that make the experience. I came to Israel expecting to meet some amazing people. I never could have imagined the experiences that would come along the way. If you told me 10 months ago that I’d run a 10k I would have told you that you’re crazy. 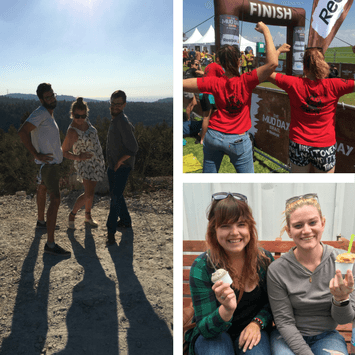 I would have called you even crazier if you’d tell me that I’d also voluntarily run/climb/crawl/jump my way through a mud run. Along the way I’ve made friends who are equally as insane as me and some who I’ve dragged all around Be’er Sheva to add content to my Instagram. I’ve gone on unexpected adventures with people from other cities and shared some incredible sunsets. It’s always amazing when your best friend lives thirty seconds from you but it’s also a nice feeling to know you always have a couch to crash on in the next city over, just in case you’re in need of a new adventure. One of the guys on my program loves to dance. It doesn’t matter if we’re in a club with the music blaring or if he’s walking down the street with headphones plugged in; I promise you, he’s dancing. A friend from another city saw him in action one day and said “I love how no matter what, he is undeniably himself.” I think that was my biggest lesson of this year, to always be undeniably me, no matter where I am. My Be’er Sheva familly may have its dysfunctional moments, but we will always have each other’s backs. It’s been quite the year and I couldn’t imagine sharing it with anyone else. It’s been a crazy ride and I would not have it any other way. This home I built over the last 10 months has been incredible. It was created through unique friendships, interesting experiences and meaningful connections. This year proved to me that my definition of home is not a place or a person; it’s a feeling. It’s that feeling you get when you know you can always see a gorgeous desert sunset from your bedroom window, or when you spend a night on the beach stargazing with people who have become life-long friends. It’s in the late night heart to hearts that you never want to end and in the early morning coffee runs. It’s knowing that your best friends are only a few seconds away and that adventure is always on the horizon. My home is created in the knowledge that I will always build roots no matter where I am, but I will always have my wings to take me wherever I want to go. Leaving here isn’t going to be as easy as I thought it would be. Israel’s become a true home away from home and it will always have a piece of my heart. 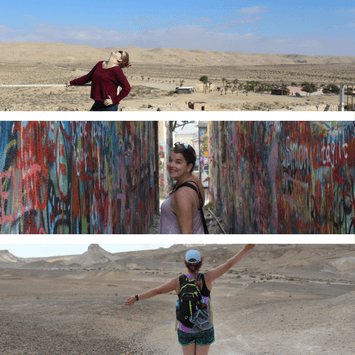 It won’t be the same when this program is over, but I know my next Israeli adventure, whenever it may be, will be just as amazing in its own way. I know this isn’t goodbye, it’s just lehitraot, or see you later.